United Utilities is encouraging people in the North West to extend a little warmth towards isolated older people by supporting Contact the Elderly. The charity tackles isolation among older people by organising regular Sunday afternoon tea parties for small groups of older people, aged 75 and over, who live alone. “Isolation is one of the biggest concerns facing older people in the winter months. “But there are things that we can all do to help tackle those concerns, while also making sure our own homes are ready for freezing temperatures. Contact the Elderly is seeking additional volunteers to help host tea parties and provide transport. 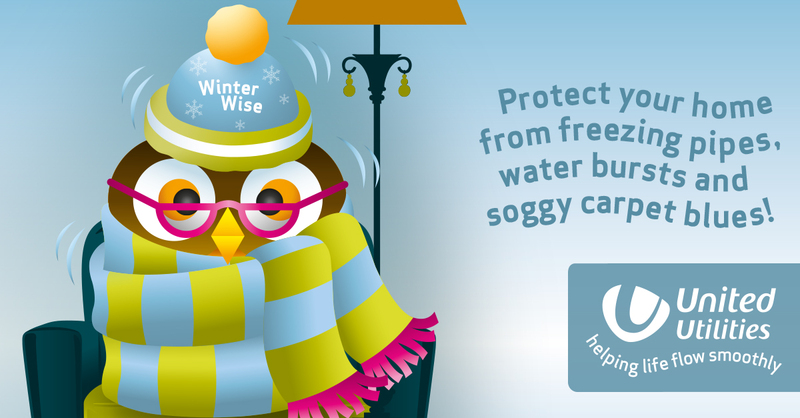 The Winter Wise campaign is also about encouraging people to take note of the simple steps that they can take to help themselves by preventing the misery of a burst frozen pipe. Find and label your stop tap – the tap which controls water supply to your house, so you know where to turn the water off if you do get a burst.